The first time I spoke to August Darnell on the phone, I casually inquired, “What are you up to?” His reply was equally casual: “Oh, doin’ what I always do – tryin’ to do the next thing before someone else does it.” Bassist, lyricist, and co-founder of Dr. Buzzard’s Original Savannah Band, Darnell has been one step ahead of everyone else for the last couple of years. Beginning with his production and co-authorship of Machine’s controversial hit, “There But for the Grace of God Go I,” he has been the creative center of a flurry of activity that has involved Gichy Dan’s Beechwood #9, James White and the Blacks, Don Armando’s Second Avenue Rhumba Band, Cristina, and, most recently, his own Savannah Band spin-off, Kid Creole and the Coconuts. These various ventures have in common a dense, intelligent, irresistibly ebullient sound that takes contemporary dance music several levels beyond “Get down/Boogie oogie oogie.” Quirky, sophisticated, and intriguing in their own right, these projects also feed into the mystique of the Savannah Band as a pop-R&B version of George Clinton’s P-Funk Mothership captained by reclusive geniuses. For although their three brilliant albums have earned them an adoring cult, the Savannah Band – lifelong friends Darnell and Stony Broader Jr., lead vocalist Cory Daye, “Sugar Coated” Andy Hernandez, and Mickey Sevilla – have yet to mount a major concert tour. Last March, a New York club called the ‘80s hosed “The August Darnell Revue” with special guests Gichy Dan and Cristina (the chanteuse was sick, but her chorus of boy-mimes, the Capezio Brothers, went on anyway). Darnell and Hernandez performed as co-founders of Kid Creole and the Coconuts, Daye sang a few songs, and Browder acted as MC. This was the closest the Savannah Band had come to playing together live in New York since they went into the studio to make their now-classic debut LP. When I spoke to Darnell at the Ze Records offices, next door to Carnegie Hall, he took phone calls and dispensed roadies with the lordliness of a Mafia don, but the diminutive and utterly suave band leader seemed perfectly happy to tell the group’s whole story. Starting from the beginning, he spun out a wonderful mixture of poetic eloquence, teasing reticence, and deadpan humor. The ‘40s sensibility that underlies the Savannah Band’s music stems, according to Darnell, from Browder’s childhood fascination with the movie idols of that era. “He used to sit up night after night watching those movies, not only for the cinematic lessons they taught, but for the music. He would tape the musical scores, the nightclub scenes that used these strange five-part harmonies, the orchestras, the songs from Casablanca and all, and he’d go to record shops and say, ‘How can I get a hold of this?’ They’d say, ‘Oh, well, that kind of music is Glenn Miller and Tommy Dorsey.’ So he’d go collecting every record he could get his hands on, and he’d study and them and study them. Then it was this brilliant idea of his to bring that back in a contemporary form, to make it as danceable for today’s kids as that music was danceable for the youth of that time. He put that straight four-beat underneath and superimposed syncopation and what today’s public would call ‘weird’ harmonies, but it worked brilliantly. 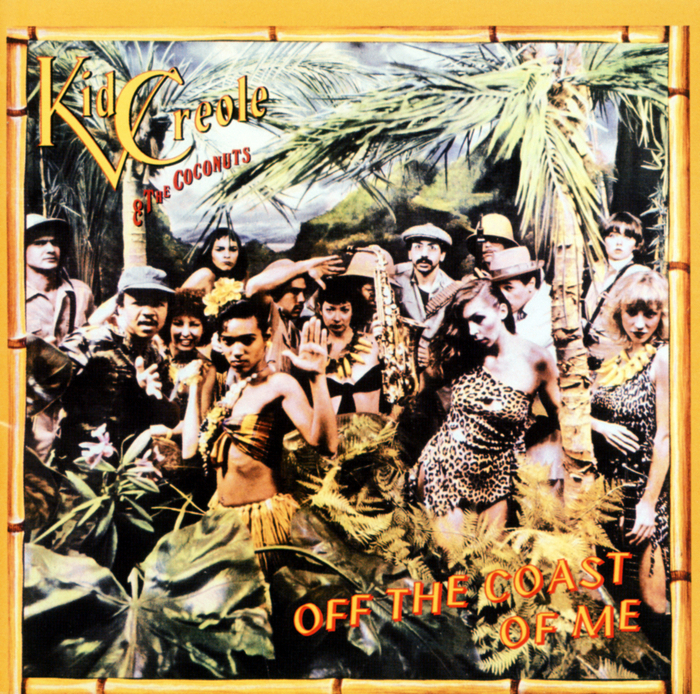 Kid Creole and the Coconuts’ Off the Coast of Me is foremost among Ze’s artistic output, but it has had its hassles, too. Originally begun as a series of demos for Chappell Music but then made into a full-scale production by June of 1979, the album’s release was delayed for several months when Arista Records severed its distribution deal with Ze. The album, finally released this fall on Ze/Antilles, is a sumptuous party record, more sparsely produced than the Savannah Band’s and with a heavier emphasis on reggae and calypso, in keeping with Kid Creole’s conception as an “island” group.